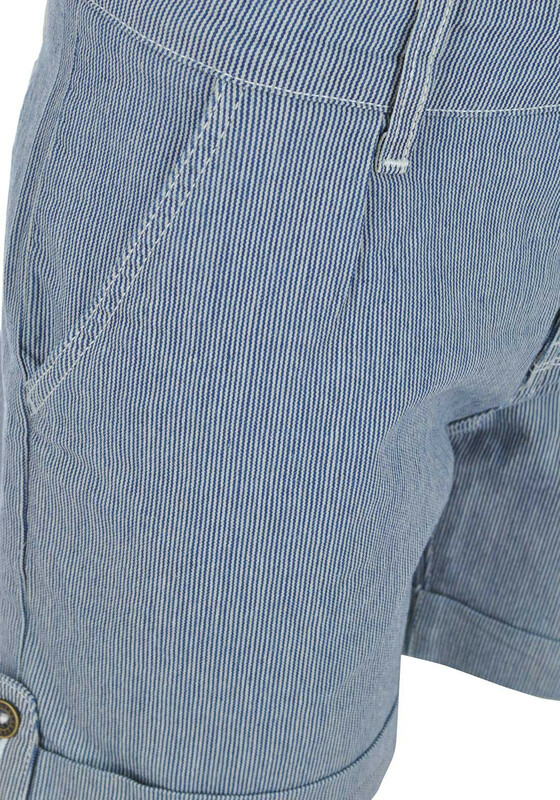 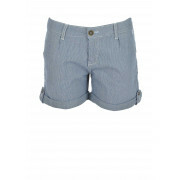 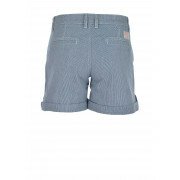 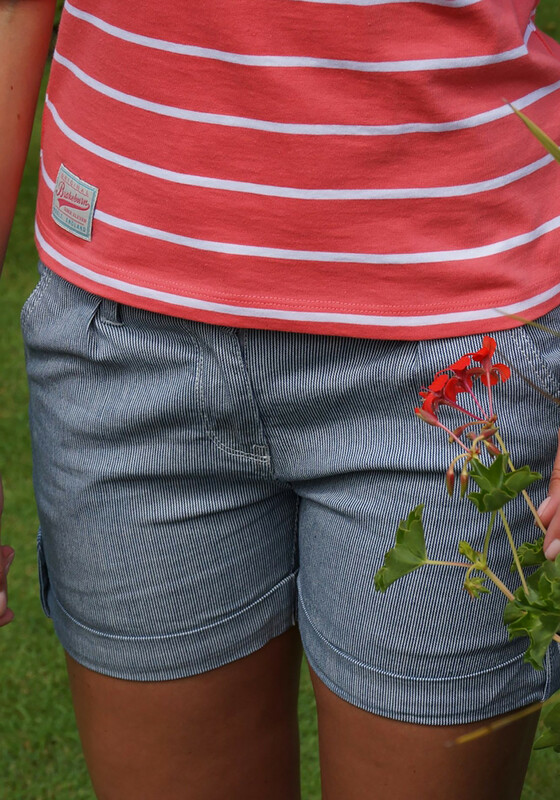 Theses nautical fine stripes shorts from Brakeburn are the perfect addition to your spring summer wardrobe and are will feel as good as they look when wearing. 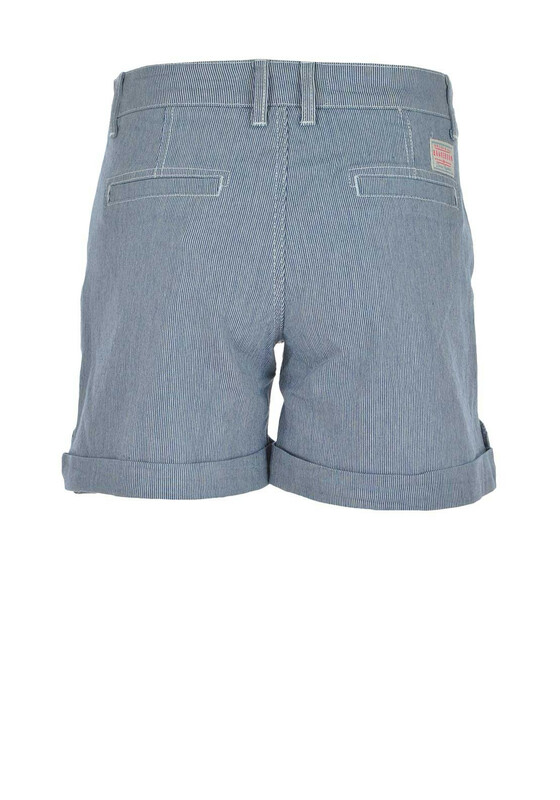 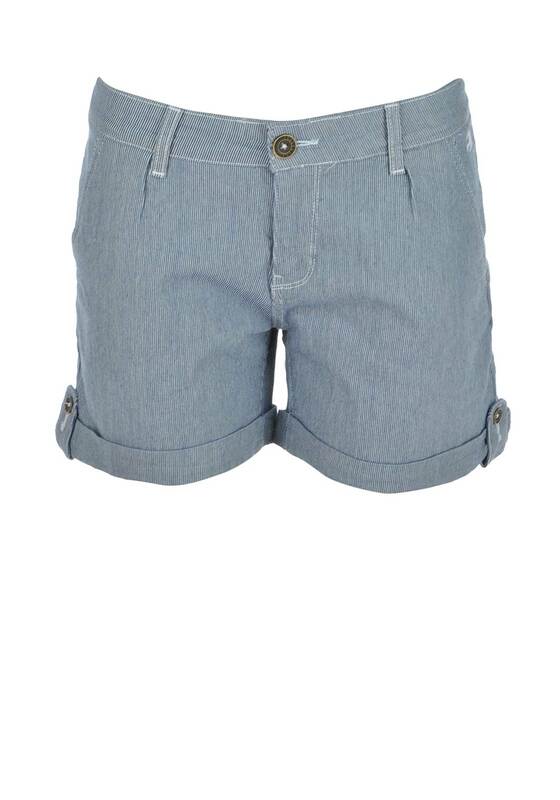 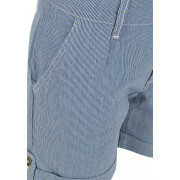 In their blue and white design, this stylish pair have buttoned detail on the rolled legs, front pockets with the embroidered Brakeburn logo, belt loops, a zip and button fastening and the classic woven tag on the back. 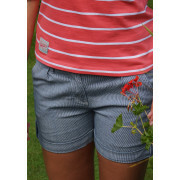 Team with slip on canvas shoes or trainers and casual tops and t-shirts for an off duty look.